True story, the other day I was walking my dog at Runyon Canyon in L.A. and wearing my Doctor Who TARDIS t-shirt and I got saluted and was called a fellow 'Whovian' by a random stranger, but obviously another fan of the show. 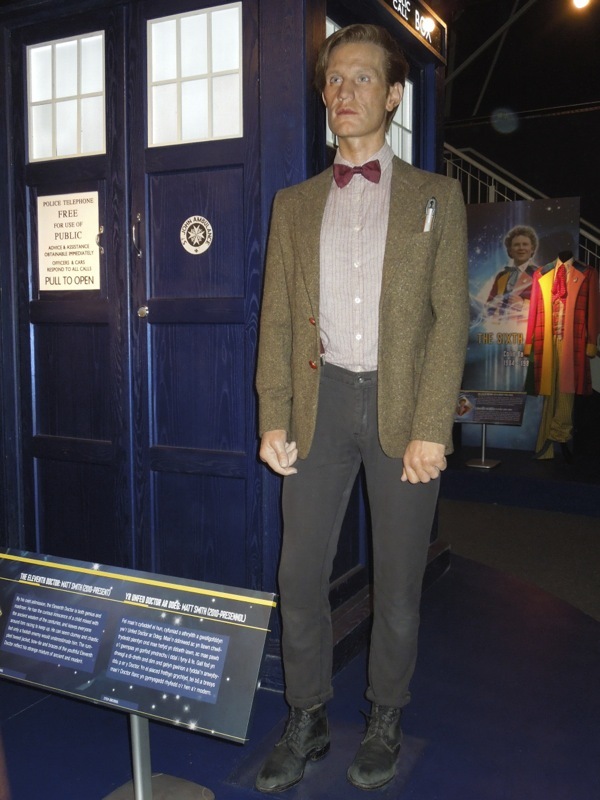 It really does still amaze me that the Doctor who been so embraced across the Atlantic, which shouldn't really surprise at all as he can travel through all time and space. 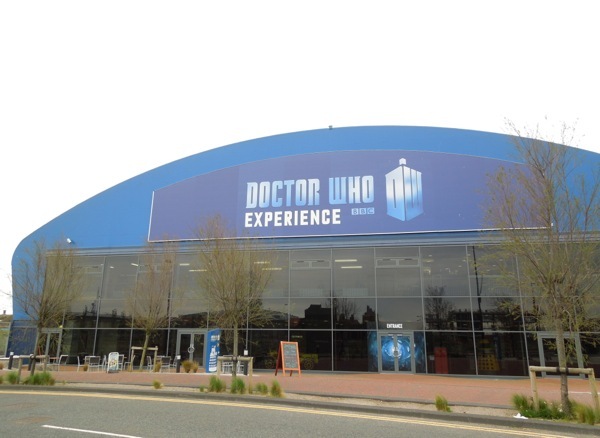 So imagine my delight when I was recently visiting my home country of Wales and I took a trip to the Doctor Who Experience in Cardiff Bay, across from where they film the BBC sci-fi show which is fast approaching its 50th anniversary. 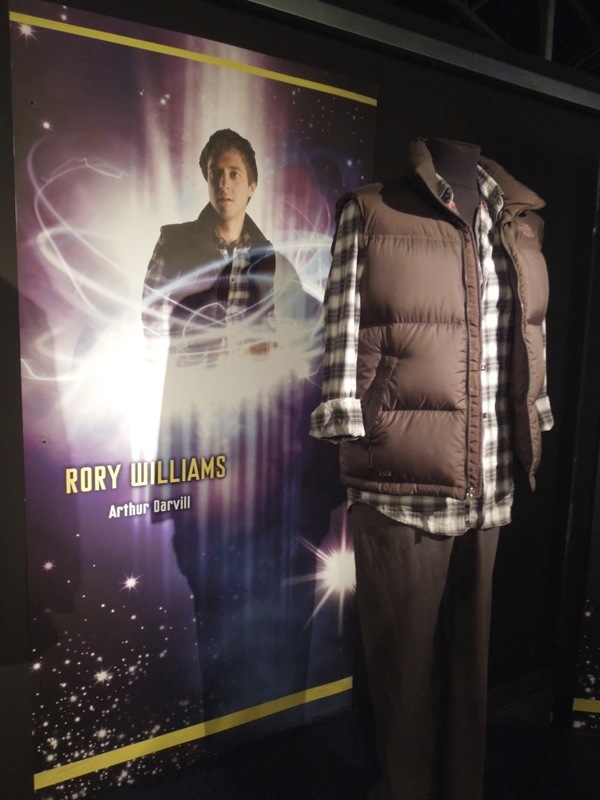 In addition to a fantastic interactive walk-through experience, there's a veritable treasure trove of costumes, props and sets from the very latest episodes, to infamous monsters and creatures from yesteryear. It really is well done and I spent hours walking around and around taking literally hundreds of photos of all the fantastic exhibits. 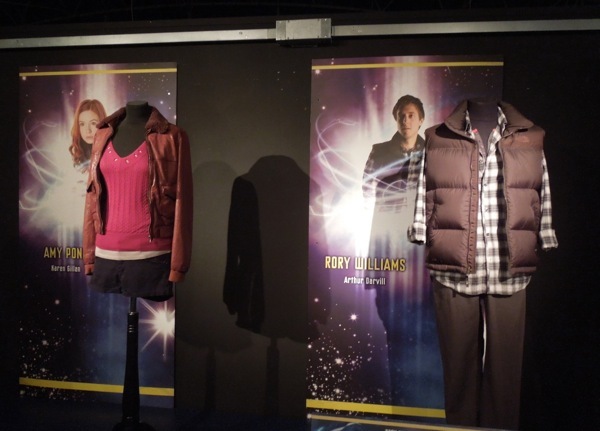 Doctor Who is a brilliant concept (and a British institution), an alien time and space traveller who has two hearts and can regenerate into a totally new personality (and actor), plus who travels with 'Companions' to share his otherworldly adventures. I grew up watching it as a kids teatime show, when you really did feel like hiding behind the sofa because of the likes of the Daleks and Cybermen, through the Tom Baker, Peter Davison, Colin Baker and Sylvester McCoy eras (plus watching re-runs of Jon Pertwee). 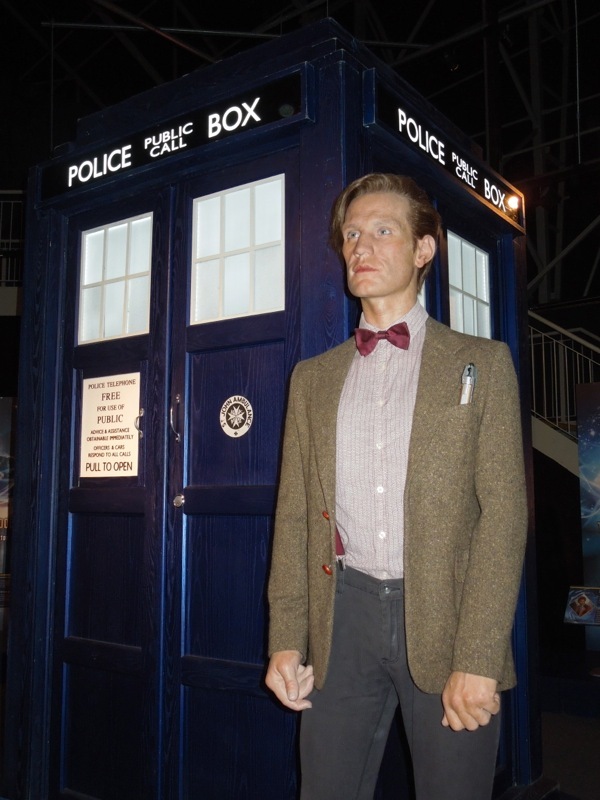 Recent revelations suggest that Matt Smith's 'Doctor' may not necessarily be the eleventh version of the Time Lord that we thought, but only time will tell. 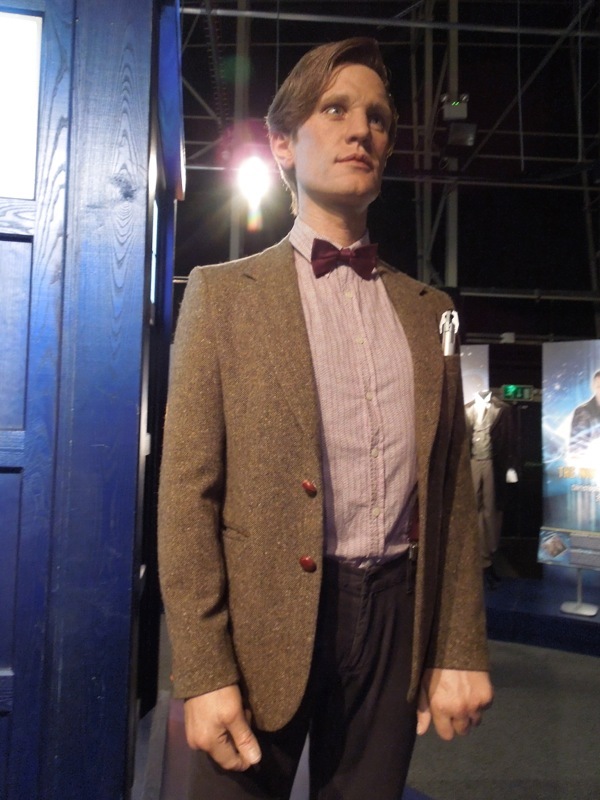 The news that Matt Smith intends to leave after this year's 50th anniversary celebrations and Christmas 2013 special is no surprise after four years playing the role, but I've grown to love his slightly kooky and eccentric bow-tie (and occasional fez) wearing Doctor. 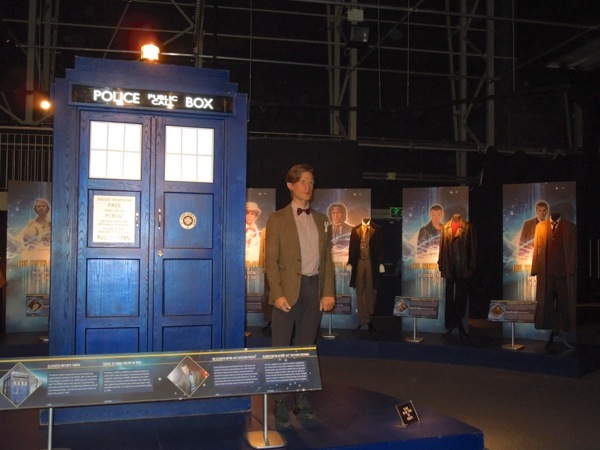 That's why it was such a thrill to see this youthful waxwork of him dressed in his tweed jacket and braces beside his very own original T.A.R.D.I.S. 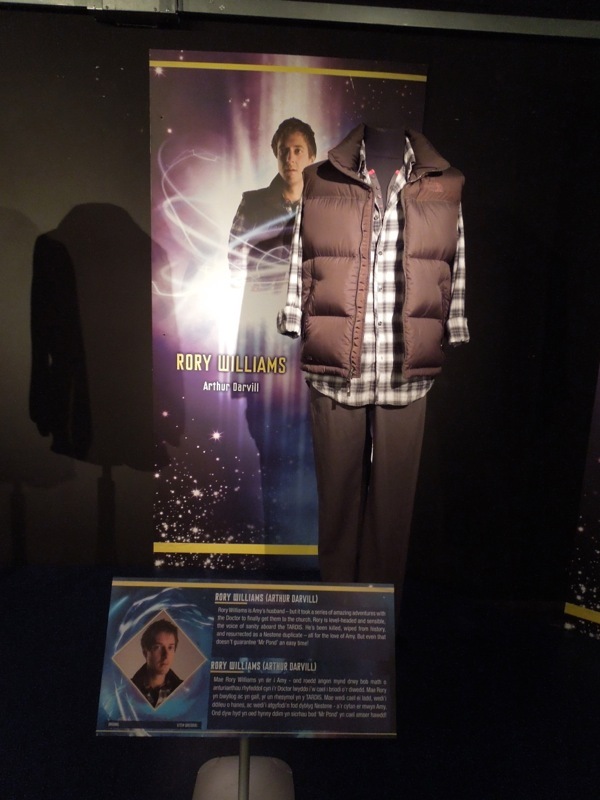 (Time and Relative Dimension in Space). 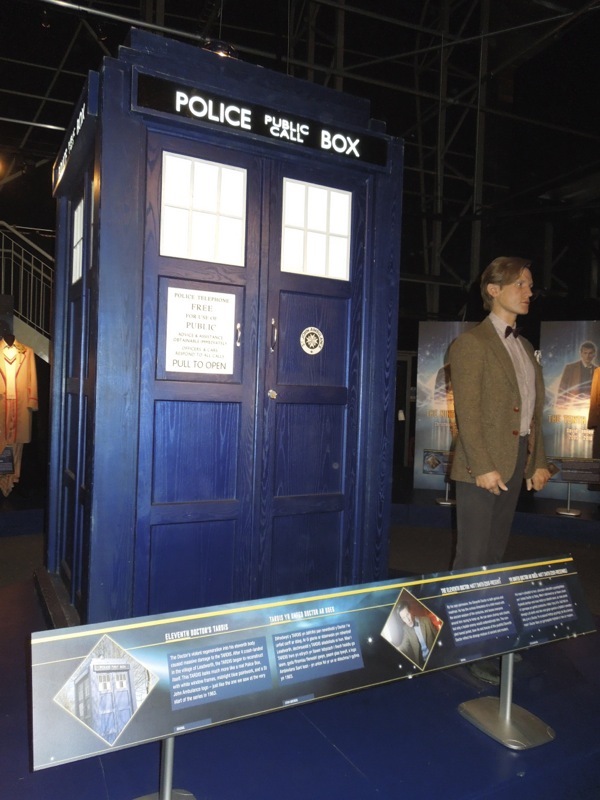 Just as the Doctor can regenerate, so too can his unique and iconic time machine and spacecraft. 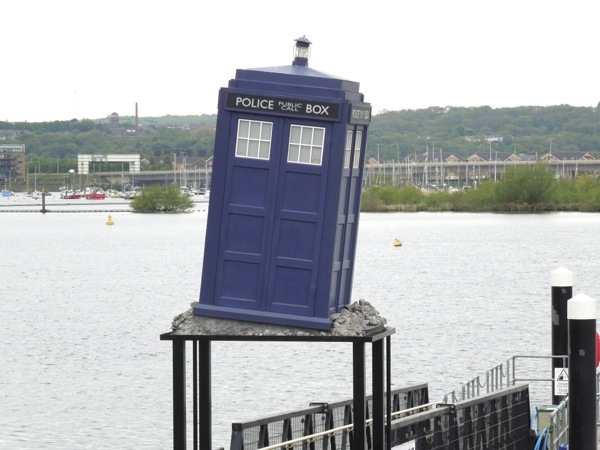 Following its violent crash-landing in Amy Pond's garden in Leadworth, the TARDIS reconstructed and repaired itself to look much more like a real 1960's-style London Police Telephone Box, with white window frames, midnight blue paintwork and a St. John Ambulance emblem, just like the blue box we saw at the beginning of the TV series in 1963 (even though it was televised in black and white). 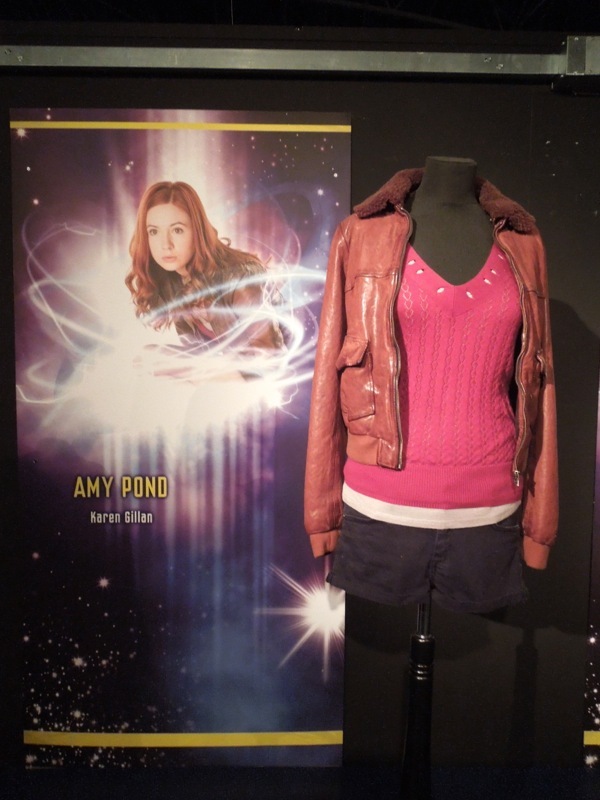 Not only did the fifth season of Russell T. Davis resurrected Doctor Who show introduce us to Matt Smith as the eleventh Doctor, but it also is famous for the debut of his red-haired feisty new Companion 'Amy Pond', played by Karen Gillan (plus when Steven Moffat took the reins of the BBC show). 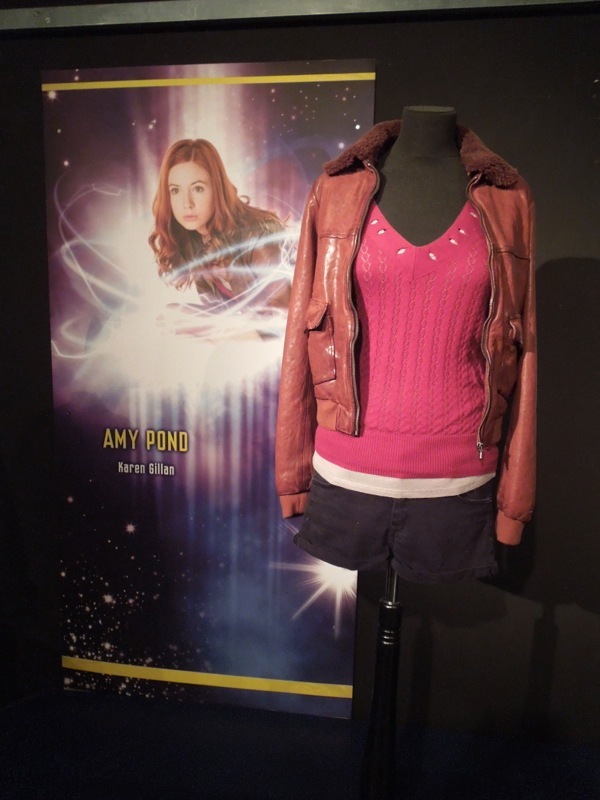 Amy Pond first met the Doctor after he crashed in her garden in the episode 'The Girl Who Waited' when she was seven years old and was played by Caitlin Blackwood (Karen Gillan's real-life cousin). 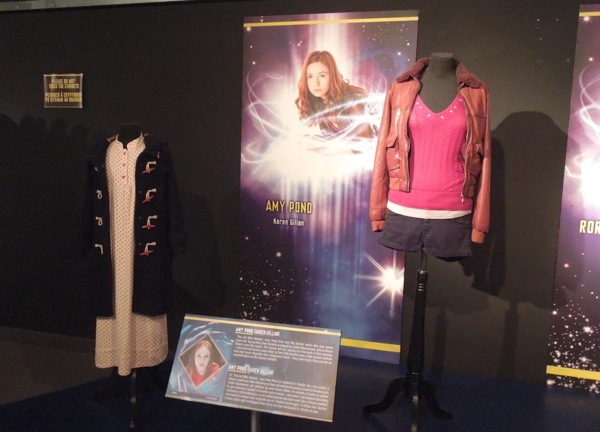 Telling her he'd be back, the Doctor didn't return for another twelve years to find that young 'Amelia' had all grown up and and thought of him as her imaginary friend, the 'Raggedy Doctor'. 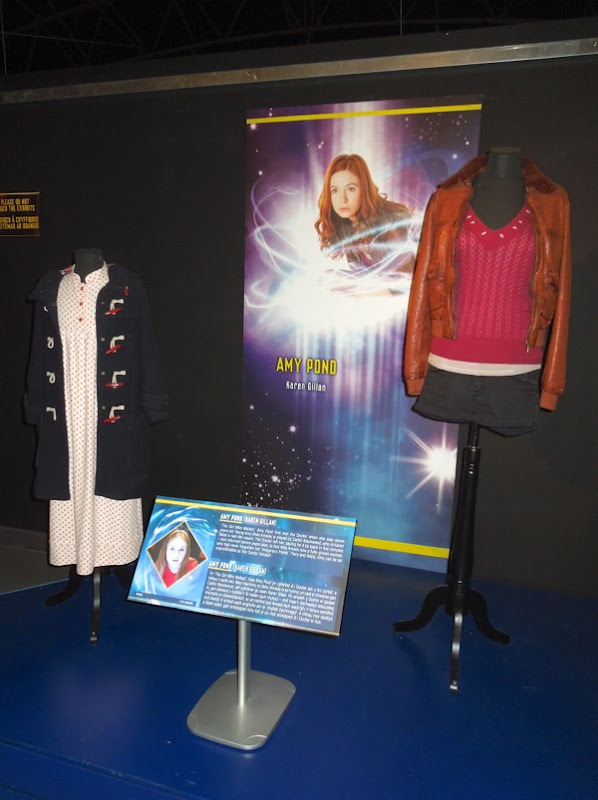 These costumes worn by both actresses to play Amy Pond were photographed on display at the Doctor Who Experience on May 20, 2013, alongside one of the outfits worn by Amy's boyfriend and eventual husband 'Rory Williams', or 'Mr. 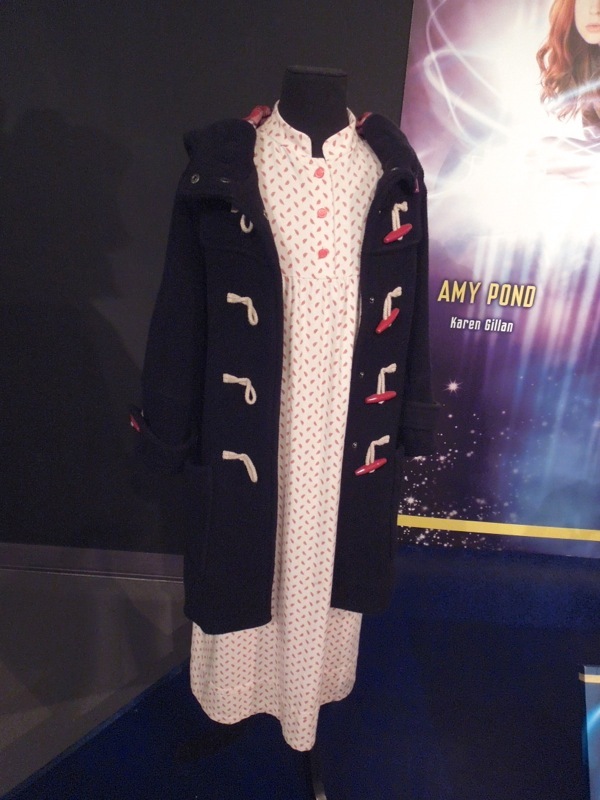 Pond' as the Doctor like to refer to him. 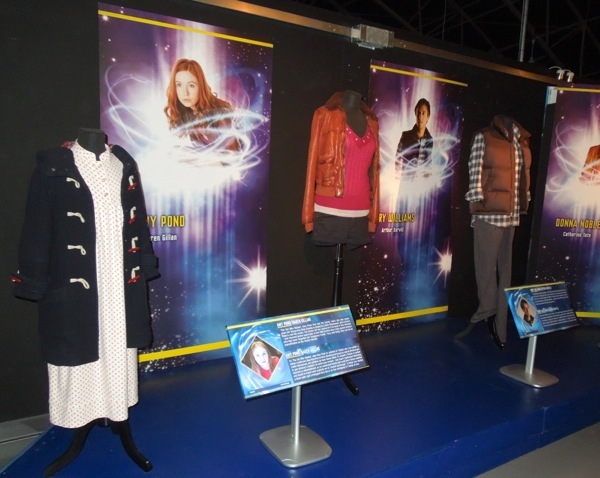 If you ever get the chance to visit this fantastic exhibition, you should really take the opportunity. 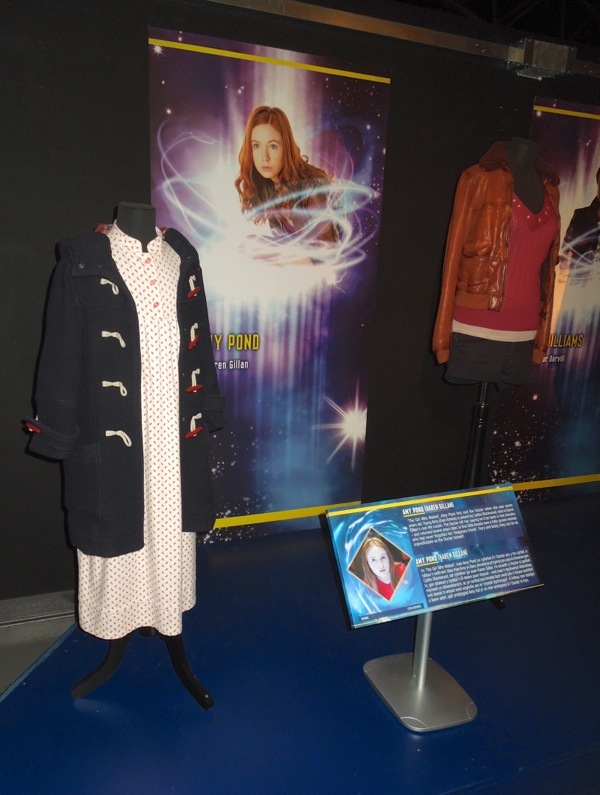 I can't recommend it enough and can't wait to return on my next visit home to the U.K., especially as it's a constantly evolving display which has classic memorabilia from all of the Time Lord's incarnations, but also features items from the newest Doctor Who episodes. My advice, book an early time slot to avoid the hordes of screaming school children for your chance to appreciate the costumes and props in relative peace and quiet. 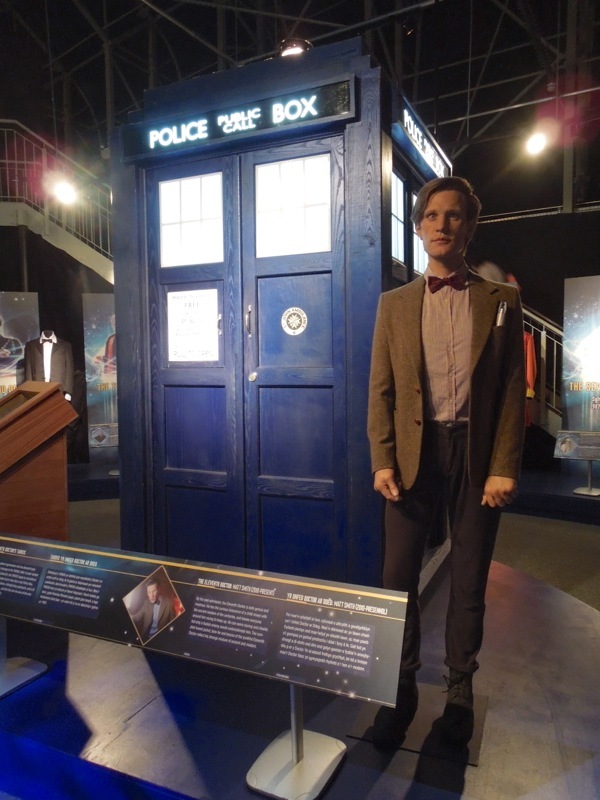 Plus if you're a Matt Smith fan, be sure to check out these Doctor Who billboards from around L.A.
Be sure to stick around in the days to come for even more out of this world treasures from the Doctor Who Experience.